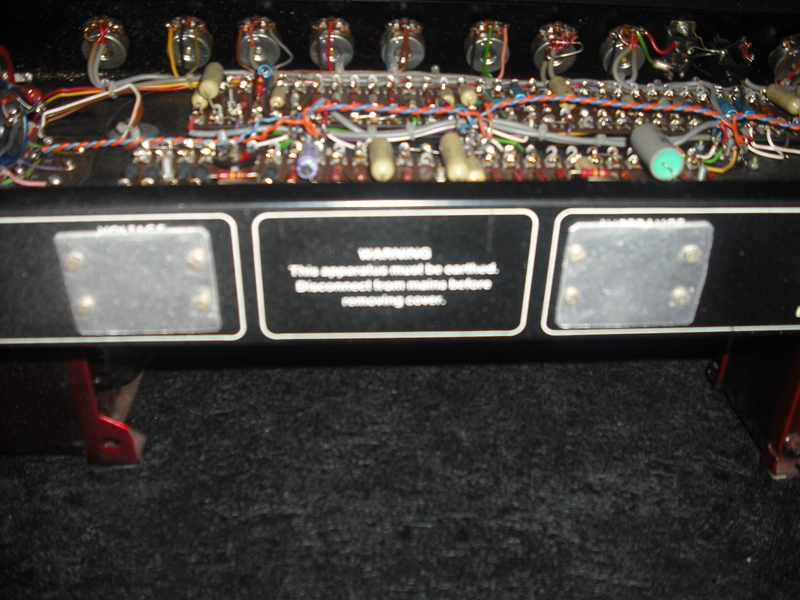 Spent a bunch of time fighting with the Simms Watts, one channel not working. 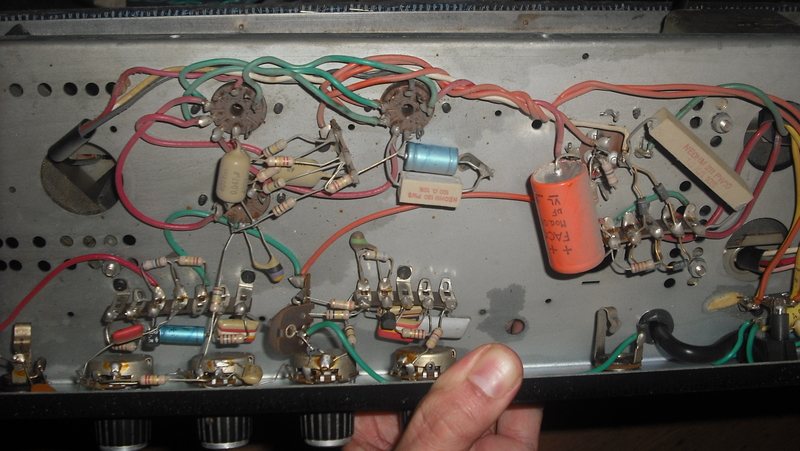 Eventually spotted that one half of the first pre valve wasn’t heating (swapping valves to check it, used one with a more visible filament. 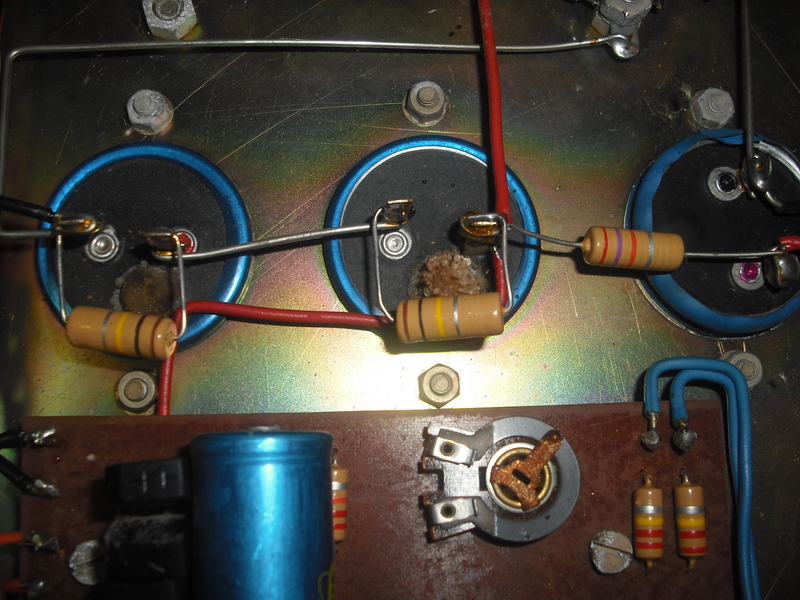 Unloaded all the voltages checked out, so must have been resistive and making a voltage drop when loaded. Replacing whole valve base fixed it, cleaning and resoldering didn’t. Guts not as tidy as the others. The middle filter cap on the left is free floating, so stuff needs doing. Not gonna have a chance for a while, tons else to do. 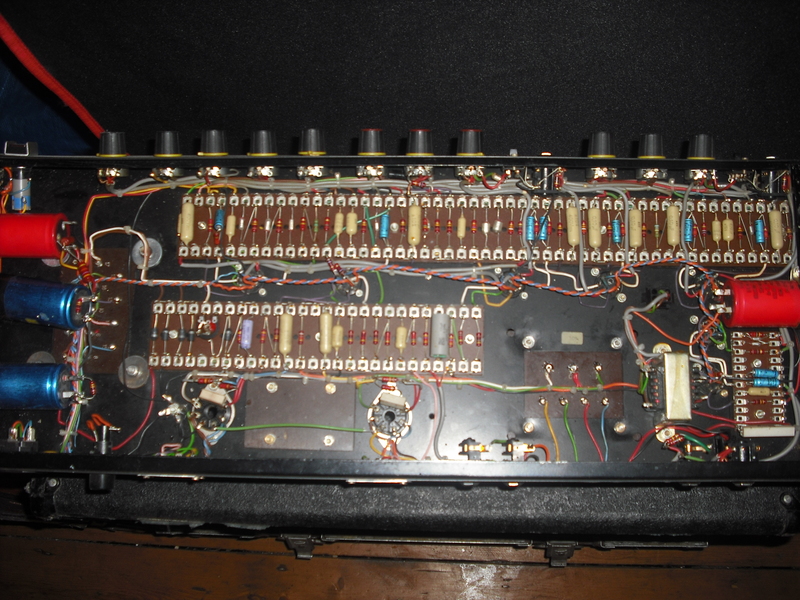 Impedance and voltage selectors banked off. 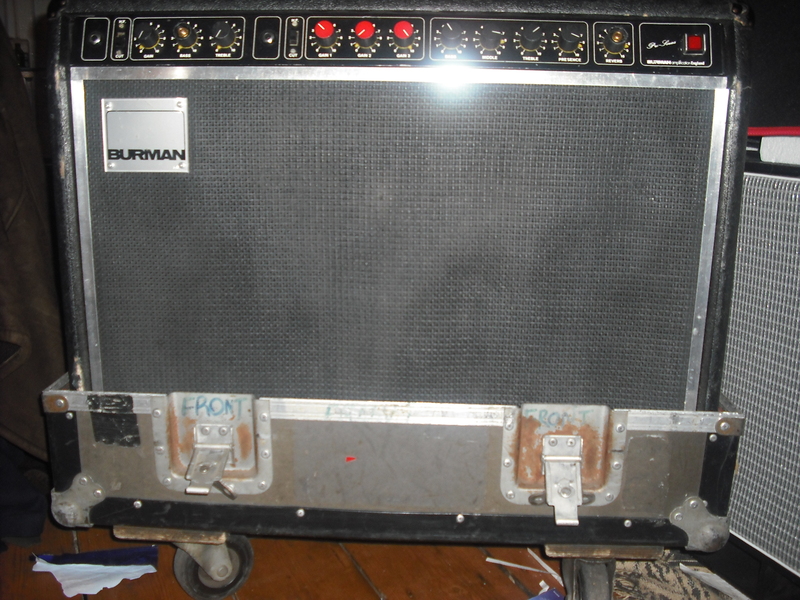 Not sure why, or how original that is, general impression this amp has had a rough life on the road. 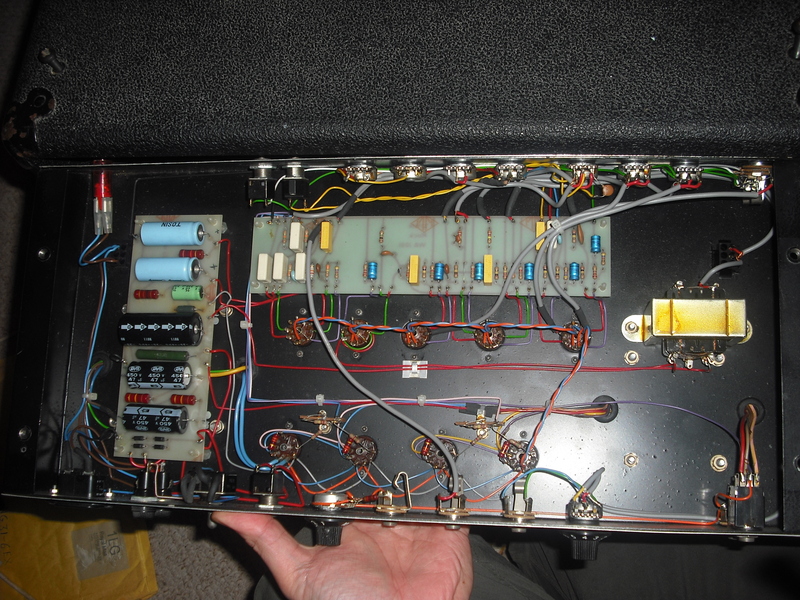 Chassis topside, main thing of note is the massive resistor up there, sort of makes me thing it was planned to be a choke at some point. Guess its for cooling otherwise. Lots of the chassis finish has turned to dandruff. Chinese new year vacation is meaning I haven’t had a parts order in ages, running out of stuff. Pretty tidy, spread out, slightly more impatient to load it up and play with it, see if that translates to low noise and decent sound. Don’t forget to check out Ampstack on Facebook. 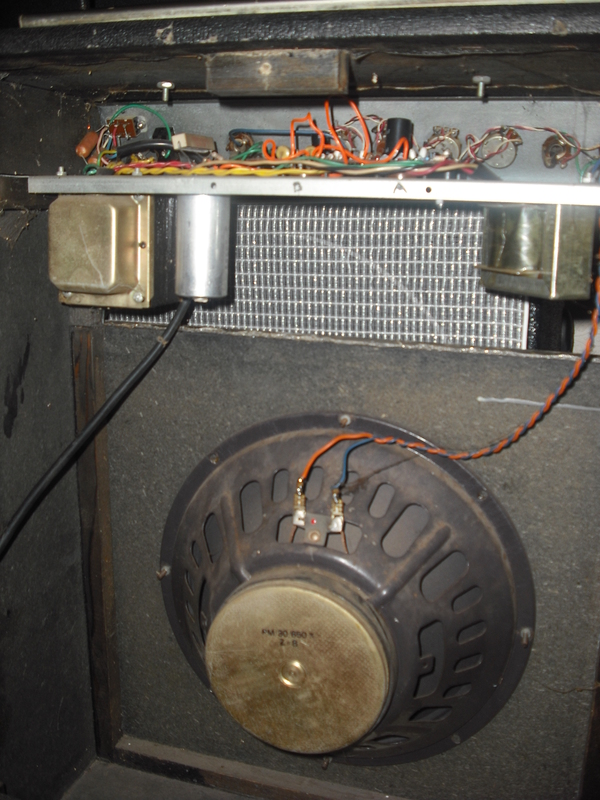 Edit: Been told by a bunch of people Bill White was the owner of White’s music shop and thus White Amplification. 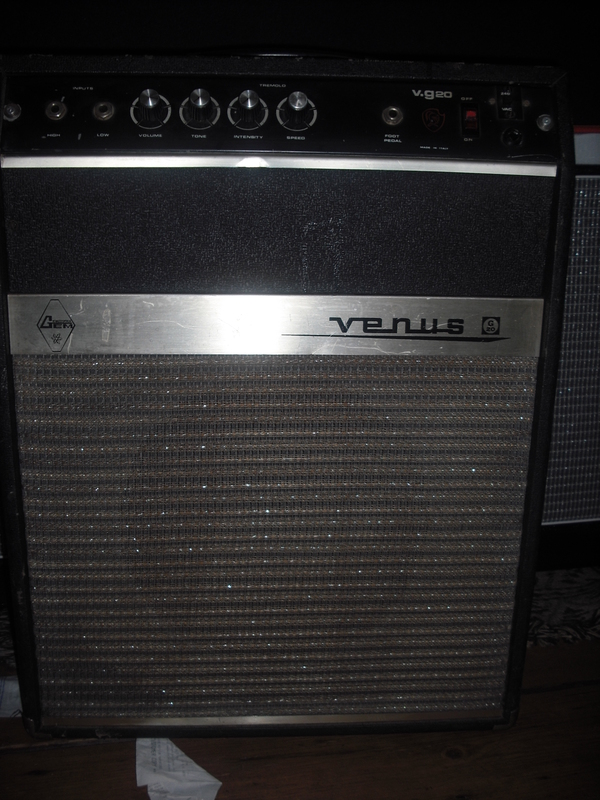 Need to buy valves for stuff, so Venus up for sale. 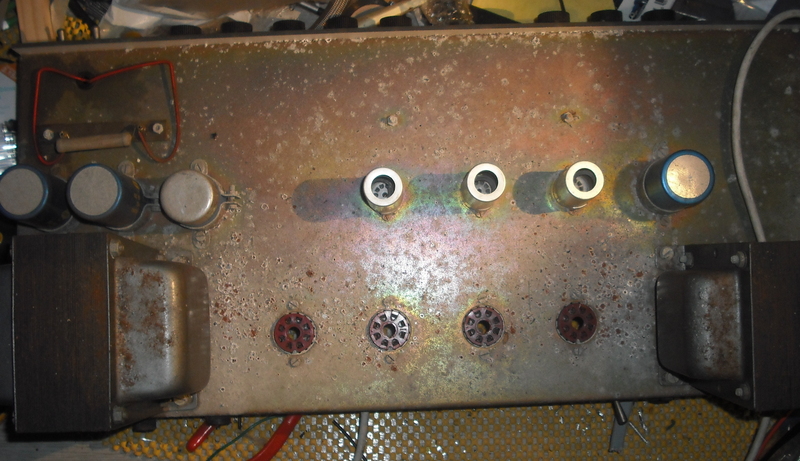 Recapped, valves replaced with working ones, cleaned sockets etc. Pretty nice sound, if you like toppy and with trem (obv can turn off trem, but it is one of the nicest features). £145. Grabbed this since I quite liked the Gem Saturn bass head I worked on previously. Front pic in earlier post. Unlike that Saturn, this one isn’t point to point. 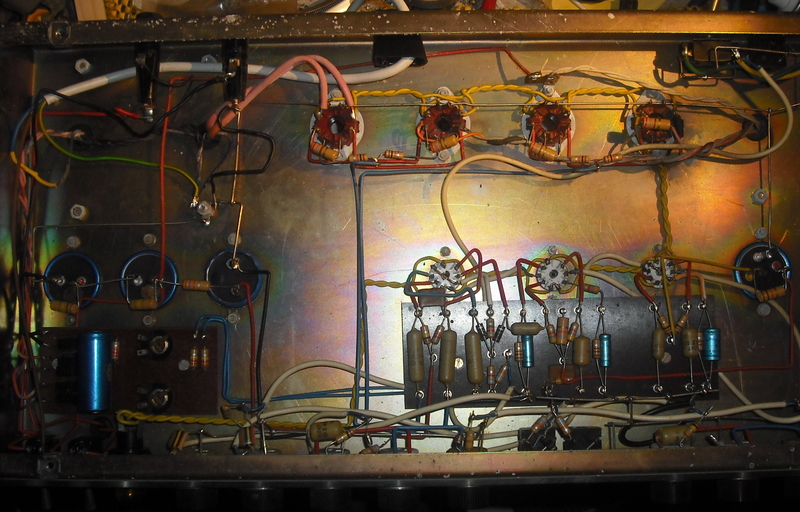 Preamp is SS again, power from two EL84. some nice work with replaced caps held in with blu tac. Given it a dust, one of the valves in it was dud, stuck a couple of freshly tested ones in, and put a new plug on it. 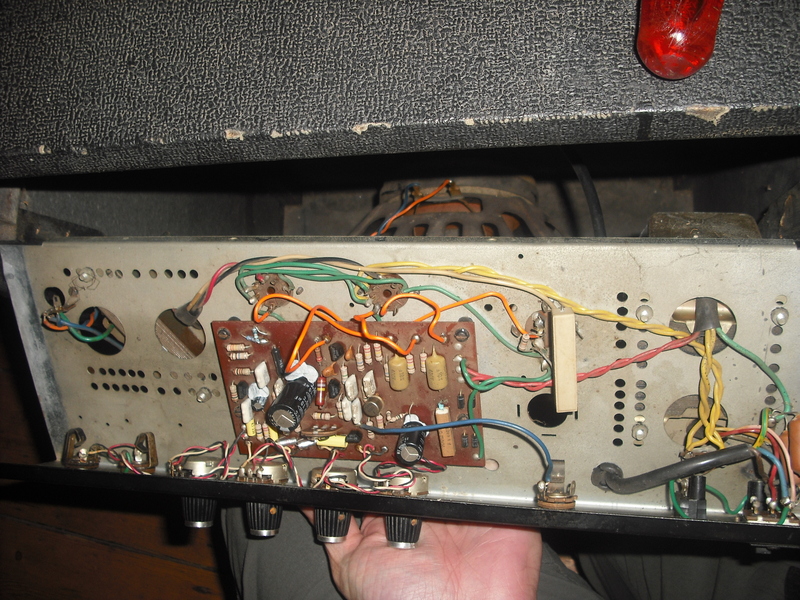 for some reason, in spite of the fact I’ve rebuilt loads of amps, wiring a plug still stresses me. Anyway, by the time I was done with that, its the middle of the night and I can’t test it. Set up an Ampstack Facebook page.